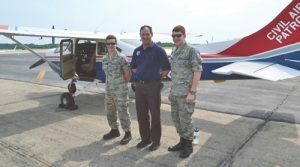 The Newport News Composite Squadron of the Civil Air Patrol (CAP) is a part of the United States Air Force Auxiliary, dedicated to providing aerial and ground emergency response to American communities. This task is done by providing varied aviation and ground services when disaster strikes, all while developing both young and adult minds in Newport News by advocating for air, space, cyber mastery and search and rescue. According to the CAP website, “the national organization has one of the largest, single-engine piston, aircraft fleets in the world, operating 560 powered planes that fly about 100,000 hours annually.” Under the direction of the Newport News Squadron’s leadership staff, in tandem with a highly qualified core of volunteers, this local cadre aims to develop and maintain a force of citizen volunteers, instilling integrity, excellence and respect as core values. “CAP trains adult volunteers and youth for response to real-world disasters,” says Major Gary Porter, deputy commander of the Newport News Composite Squadron. For example, during the summer, a small aircraft crashed (without major injury) in New Kent County. The Air Force Rescue Coordination Center (AFRCC) called on CAP to locate and silence the aircraft’s emergency location transmitter (ELT), which was interfering with normal aircraft communications. Cadet Harvey Morrissey assisted the ground team in locating the crash site, determining that the ELT was the source of the signal satellites that airborne aircraft had detected and silencing the device. Morrissey, among others on the search team, was able to effectively respond because of his training received as a part of CAP. 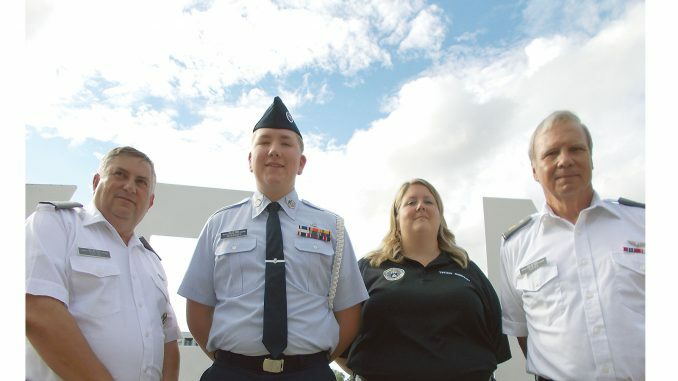 “CAP is a career-building organization for people who are interested in learning about aviation, pursuing a career in aviation or the military. CAP gives them a structured way to learn and develop their own character and physical abilities. It is a place for parents to expose their children to what aviation is all about and what kind of career pathways the Air Force can offer them,” Porter says. The weekly squadron meetings, open to the public, take place each Tuesday from 6:30 to 9 pm at Newport News/Williamsburg International Airport. Cadets as young as 12 and as old as 21 can be part of the program, but cannot begin the program after their 19th birthday. The squadron also has volunteer opportunities for adults, both pilots and non-pilots alike.